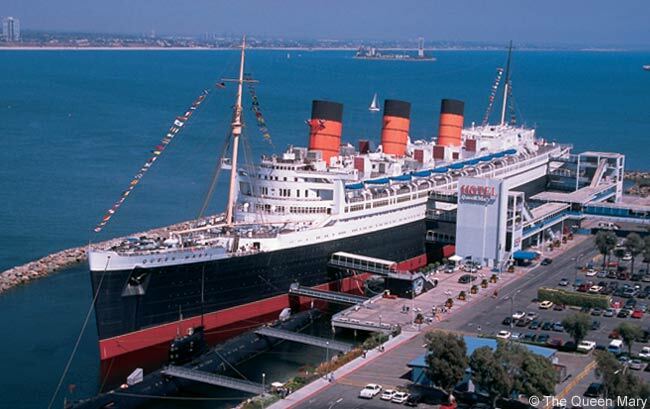 Get an up close and personal look at the Queen Mary with one of the exciting and informative guided tours. From the ship’s groundbreaking construction and royal launch as the most luxurious and technologically advanced ocean liner at the time, to her duty as a troopship during WWII, to her golden days of the 1950s, to her earning the nickname, the “haunted ship,” the Queen Mary’s history is full of action, adventure, romance and paranormal activity. Explore the ship from bow to stern, inside and out, and hear unique stories, facts and insights about the Queen Mary from our expert guides.